Product Recall Opportunities | Data Works International Inc.
You never plan on having a recall, and you probably don’t have a plan for handling one. Unfortunately, recalls are occurring with increasing frequency, and we at DataWorks see them affecting companies of all sizes. Rapid growth, communication hiccups, and a momentary lapse in oversight can adversely affect any product today. When a recall does occur, every manufacturer has the same goal: complete the process as efficiently as possible to ensure the consumer is protected and the company can continue to thrive. DataWorks was recently contacted by one of our clients facing a recall affecting more than 1,500 of their dealers and tens of thousands of units sold. The manufacturer was in good shape to handle the recall because they had most of the necessary data and a great team. However they knew the dealer and consumer notifications would take literally a thousand hours, and they didn’t have the staff for it. Since DataWorks has coordinated many other recalls, we had the process and people in place to help them and were happy to do it. 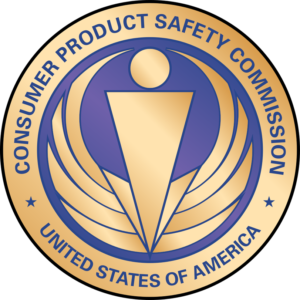 During your first contact with the Consumer Product Safety Commission (CPSC) you may still be thinking, “How did this happen at my company!” Even if you’re at the “Now what? !” phase, you probably don’t have experience contacting a large number of people with unpleasant news. When DataWorks’ client was in their first discussions with the CPSC, we helped by outlining their options complete with in-depth cost analysis. This allowed our client to focus on their core business. When our client and the CPSC agreed on a plan for conducting the recall, we went to work designing the database, creating a web page for the recall team to enter data, merging all of our client’s order data, creating personalized templates for the dealers to record consumer info, and working with the printers to get all the necessary documents ready. DataWorks is also providing appropriately-timed mass mailings, email blasts, and phone calls, per the CPSC’s requirements. Once the dealers are notified, the consumers will be contacted and DataWorks will ship replacement kits to remedy the issue as specified. Often, the phases will begin overlapping because dealer data does not always come back to us right away, and those who respond first want the kits sent to their consumers as soon as possible. We’ve also had dealers insist on contacting their customers themselves. To accommodate them we’ve built a waiver into the process, and the CPSC allows it. Our database keeps everything flowing in the right direction, validating each piece of mail that goes out so everyone gets the correct documentation and ensures that consumers receive the information and kits they need. It’s amazing how many pieces of information you have to gather during a recall. You’ll be recording and documenting everything about each instance of contact with your dealers and consumers. Having been through this experience before, we knew what questions to ask our client from the very start. Recalls are costly enough without a late-stage redesign of your database or another annoying round of questions for the people affected by your recall. If you haven’t been through the process before, you probably can’t imagine how many different situations will arise when you begin contacting everyone. In order to satisfy the stringent CPSC requirements, after notifications are sent, DataWorks will provide out-calling services to contact dealers who are slow to respond. What we usually find when we start calling your dealers is that they’ve only skimmed the material you’ve mailed/emailed them. Some haven’t read it at all because their managers haven’t shared it with them, so calls that should take only a few minutes take twice that. However if you can gain the dealer’s cooperation here it will save a lot of cost later. The goal is to share information – you provide the dealer with their order numbers for the product being recalled, and the dealer can match that to consumer information for you. To speed this process along, DataWorks merged all of our client’s order data into templates for each dealer, summarizing their orders. When we call the dealer, we can offer to email the documents again, directly to the person who can get the work done for us. To save time, our database will queue up these emails and send them out in daily batches. Gaining your customers’ cooperation is so much easier when they are presented with a complete package of information that they can actually use to fulfill their obligations. Whether the dealers are annoyed or pleased to hear from you (some are happy to get a personal explanation), almost everyone is glad to be getting more information. They always convey to DataWorks that the more information we can give them the easier it is for them to gather what we need. That makes it easier for us to get the correct information to our client’s technical team using a variety of reports and data transfers so they can begin the compensation process. As I listen to our staff talking to the dealers I realize that the key to successfully navigating a recall is Persistence – in the form of Patience and Diplomacy. Our end goal at DataWorks is to help our clients complete the recall process efficiently, satisfy the CPSC requirements, and preserve and enhance their reputation for providing good customer service. Receiving a recall order isn’t good news, but we can help you by making it as painless as possible and by turning bad news into an opportunity to impress your customers and reinforce their relationship with your company.